Welcome to the new Business Cornwall web site. For regular visitors to businesscornwall.co.uk, I hope the improvements are clear for all to see. For new visitors, welcome, take a browse around. Hopefully you will discover a website that perfectly complements the printed version, – ie, the definitive and only dedicated portal for the Cornish business sector. On here, you will not only find the very latest local business news, updated on a daily basis, but also a wide selection of features, informative ‘Business Clinics’, vital dates for your diary etc etc. And all the back issues of Business Cornwall magazine can be downloaded and are also all now fully searchable. And as the site moves forward, many new exciting initiatives aimed at the Cornish business community will be coming online, which we will be telling you about in due course. There are many other great features the web site offers, many of which fly miles over my head! And as you will see at the top of the site, the word ‘beta’ appears which, I am reliably informed, means the site is still at a testing stage. As the ‘traditional media’ expert here at Business Cornwall, my delegating skills come to the fore with anything remotely approaching technical. So be rest assured, any teething problems that you invariably get when launching a revamped web site, will all be expertly passed on to someone else, and any glitches will be swiftly ironed out. Instead, rather than bothering myself with all that gadgetry stuff, once a week I will be blogging away on what’s been happening over the past seven days in the business world and wider afield. It will be a wrap up on all the important events over the past week affecting businesses in Cornwall, so you needn’t miss a thing. Enjoy the new Business Cornwall web site, and let us know you thoughts. 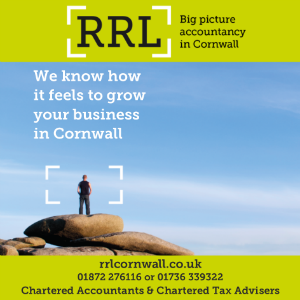 Next articleBusiness Cornwall: So what’s new? More tickets for Business Cornwall LIVE!